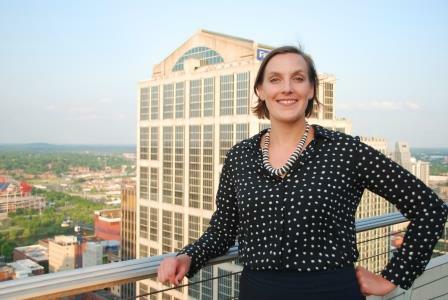 Jennifer Harrman may be a relatively new Nashville resident, but her strong family ties to Middle Tennessee and her passion for historic preservation serve her well as President of Historic Nashville, Inc., a role she assumed in 2016 after joining the board the year before as Chair of the Preservation Easements Committee. Jenn is currently part of the communications team for Metro Water Services, and holds a Master’s in Historic Preservation focusing on preservation-sensitive development from the School of the Art Institute of Chicago. 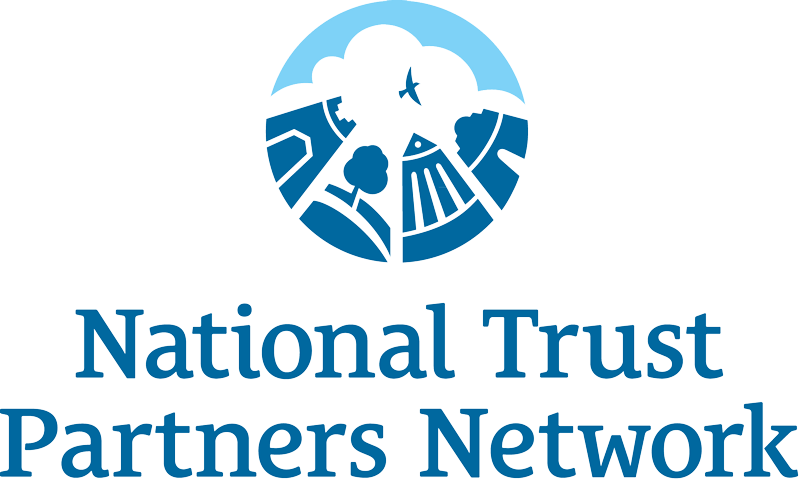 She previously worked with the National Trust for Historic Preservation and the Tennessee Preservation Trust, and brings fresh perspectives and ideas from her varied career with preservation and history programming to HNI. We asked Jenn for her take on preservation in Nashville and HNI’s direction for the future. 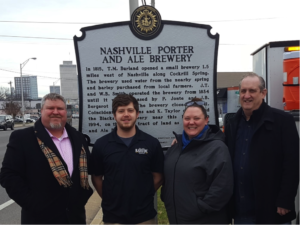 How has the preservation scene changed in Nashville since you moved here? I’ve only been in Nashville since November of 2014, but in that time, the biggest change I’ve noticed is in leadership, both locally and statewide. As with many industries, our long-time advocates and supporters are reaching retirement and a changing of the guard is slowly bringing many new faces and fresh ideas into long-standing institutions of preservation. Being one of them, I am excited to see how these new and young players will help shape the future of Nashville’s built environment. Many cities face preservation challenges and controversies — how is Nashville unique (or not)? Nashville is definitely a unique place to be in regards to preservation, but less so with the challenges and controversies and more because of its place in time. We are forever fighting the age-old battle of economics when it comes to saving older structures, but we have an opportunity to make this case in a way that makes preservation part of the solution to our city’s development goals as Nashville’s growth verges on getting out-of-hand. The city is still trying to find its way when it comes to growth, making it the absolute right time to push preservation’s value as an economic tool. Does our music history affect our preservation instincts? Regarding our music history, it’s our story that binds us together as a city. It’s something we can all rally and get behind, regardless of your interest in old buildings. It’s why some of the biggest preservation wins in Nashville are places where our music history story shines, like the Ryman Auditorium and Studio A. I lived in Chicago for many years, and one of my favorite stories was the story of the Great Chicago Fire. That story is part of the definition of what makes Chicago, Chicago, and so people had a connection to buildings and monuments that connected them to that part of their city story. In Nashville, it’s the same, but we’ve got music. People who are connected to this city are connected to music, which makes music history an invaluable tool for preservation in Nashville. So rather than our music history specifically affecting our preservation instincts, I think the music story drives our connection to place, allowing us to push preservation efforts and work together with the music industry as a voice for Keeping Nashville Unique. Click here for Part 2 of Jenn’s interview!